Who votes on Tuesday, October 8 in North Carolina? General and Primary elections are being held in counties across NC on Tuesday, October 8th. While it may seem these elections are not as important because they are smaller, these races are very important for making decisions at the local level. Elections are being held for mayors, town council members, and more! Recent election reform from this past legislative session does NOT impact this election. To see dates regarding when you will need ID to vote and other changes, visit the NC Center for Voter Education. 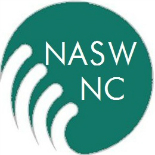 This entry was posted on October 3, 2013 by naswnc in Advocacy and tagged Elections, General Elections, NC, Primary Elections, social work, social workers, Vote, Voting.